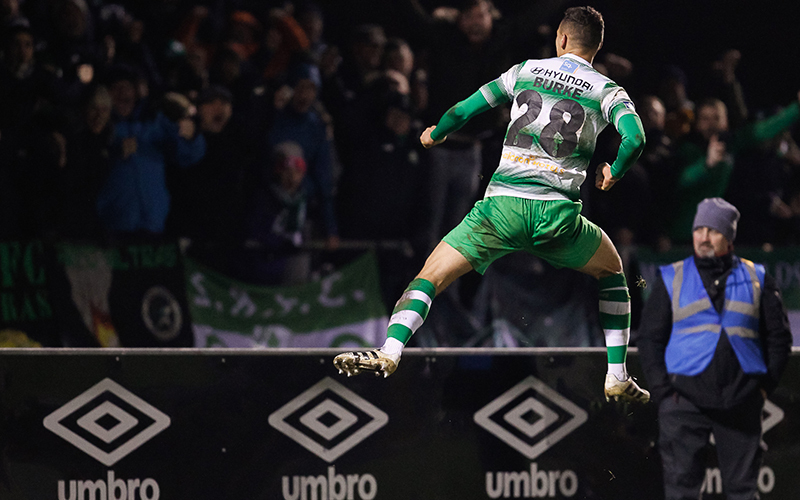 Graham Burke’s 75th-minute penalty was the difference between the sides as Limerick were just edged out 1-0 after another battling performance, in their SSE Airtricity League Premier Division clash against Shamrock Rovers at the Markets Field on Saint Patrick’s Monday. 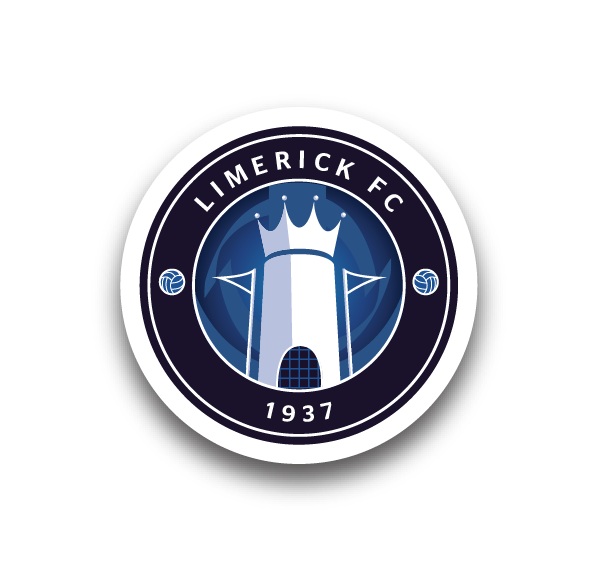 The first half was low on incident, but after the interval Limerick could have had a spot-kick of their own when Connor Ellis was fouled by Tomer Chencinski. However, the offside flag went up in a marginal call to save Rovers. Cían Coleman fired over past the midway point of the half as Limerick made the most of the possession they had. But the game turned against them with a quarter-of-an-hour left when Rovers were awarded a penalty. Burke buried it. The Hoops ended with ten men as Seán Kavanagh saw red, but despite their efforts the home side could not force a leveller as they lost their unbeaten home record in 2018. For the game, manager Tommy Barrett made three changes to the team that drew with Cork City three days earlier and they were all enforced as Darren Dennehy, Danny Morrissey and Daniel Kearns were ruled out, joining Eoin Wearen, Shane Tracy, Colm Walsh-O’Loghlen, Mark O’Sullivan and Barry Maguire on the lengthy absentee list. Replacing that trio were New Zealand international Henry Cameron – making his first appearance of the season – Killian Brouder and Will Fitzgerald, who had impressed in the Munster Derby after entering from the bench at the break. There would be little goalmouth action in the first period. Early on, Burke headed over from inside the box and, following a patient move, Ronan Finn whistled a strike just past the top corner from distance after being given space to shoot. Limerick battled hard throughout but did concede a number of free-kicks in around the box, Burke sending two of those narrowly over the bar while Seán Kavanagh saw his effort held by Brendan Clarke. 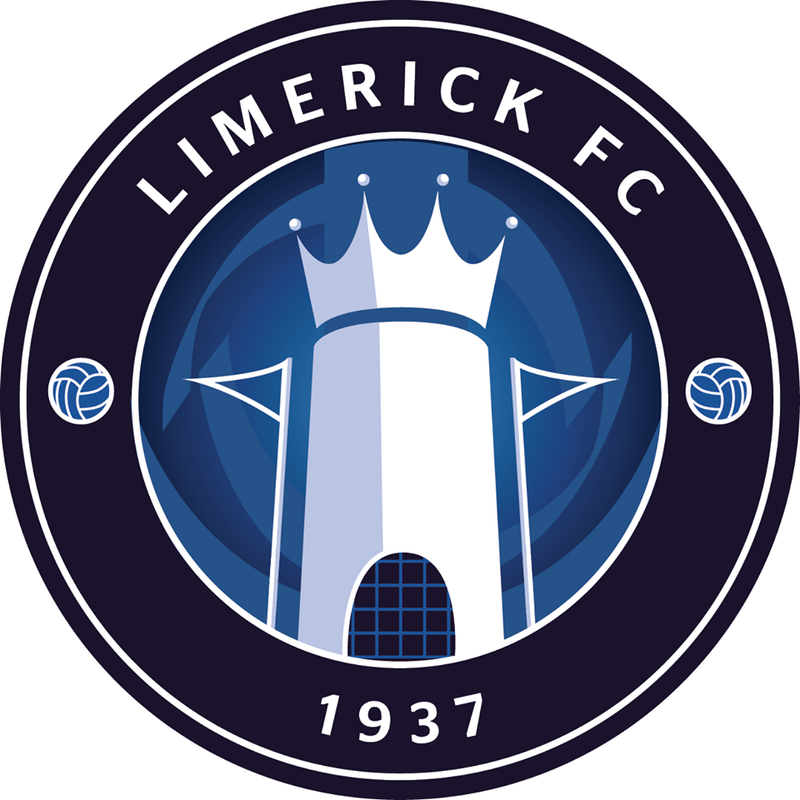 Limerick started well in the second half and on 52 minutes Ellis got to the ball ahead of ‘keeper Chencinski who took him down in the box, but while the referee prepared to blow for a penalty, the linesman’s flag had been raised to signal that the striker was offside. 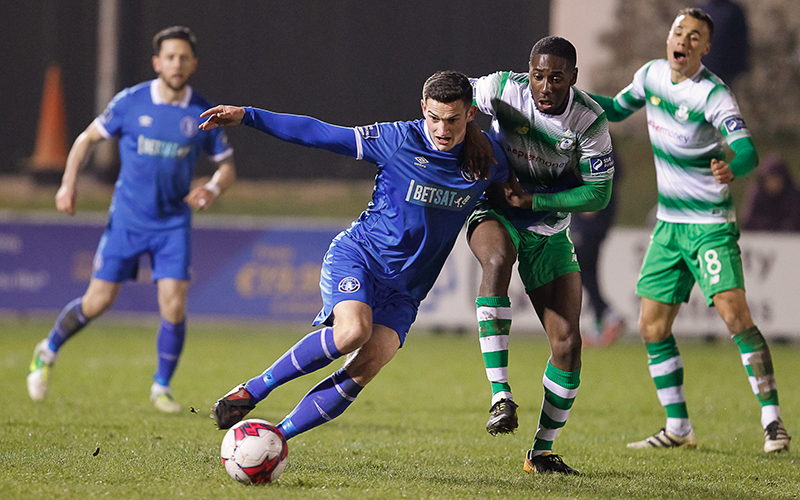 Tony Whitehead of Limerick FC in action against Daniel Carr, Shamrock Rovers during the SSE Airtricity League Premier Division match between Limerick FC and Shamrock Rovers on March 19, 2018 at The Markets Field, Limerick. (Photo © Conor Wyse). Shortly after, Cameron delivered a dangerous corner which Rovers did just enough to deal with, but after the hosts retained possession the ball came to Kilian Cantwell whose 25-yard strike went narrowly over. While Rovers were enjoying plenty of the ball, they were doing little to trouble the home defence. And on 68 minutes, the Shannonsiders were on the attack again, this time Ellis – on his own – doing well to force a free down the left and Billy Dennehy sent in a low delivery which somehow evaded everybody in the six-yard box. Then, Ellis’ and Coleman’s hard work won possession back deep in Rovers territory and Coleman went by his man before rifling a shot over the angle of the goal. But on 75 minutes the game turned. Finn got into the box, to the by-line, where he went down under a challenge from Shaun Kelly – who had played with an injury in the second half – and he was adjudged to have committed a foul. Burke stepped up and drilled to the net. Seven minutes from time, Rovers were reduced to ten men when Kavanagh saw a straight red card for an apparent kick-out at Dennehy. Limerick threw everything at their opponents in the remaining minutes but they could not force an equaliser. With bodies forward, they could have conceded a second in injury-time but after being put through on goal substitute Dan Carr saw his shot go past the post. Limerick: Brendan Clarke, Shaun Kelly (Jeff McGowan 79), Tony Whitehead (Adam Foley 88), Killian Brouder, Billy Dennehy, Henry Cameron (Karl O’Sullivan 62), Cían Coleman, Kilian Cantwell, Shane Duggan ©, Will Fitzgerald, Connor Ellis. Booked: C Coleman (40), B Dennehy (60). Unused Subs: Tommy Holland (GK), Alan Murphy, Ger Barry. Shamrock Rovers: Tomer Chencinski, Ethan Boyle, Roberto Lopes, Lee Grace, Trevor Clarke, Joel Coustrain (Brandon Miele 72), Ronan Finn ©, Sam Bone, Seán Kavanagh, Graham Burke (Luke Byrne 86), Gary Shaw (Dan Carr 64). Goal: G Burke (75 pen). Booked: T Clarke (82). Sent-Off: S Kavanagh (83). Unused Subs: Kevin Horgan (GK), Greg Bolger, David McAllister, Joey O’Brien. Referee: Graham Kelly (Cork). Attendance: 1,348 (Official).